environment, and imbalanced brain chemicals may play a role. company and earn for the family. His father is 62 age and lost his job from private sector. Mother is house wife. His father lost even his house and properties for Senthil's treatment. and we came to know he is affected by Pancreatitis. He was given aggressive treatment in ICU for about 18 days.His kidneys were affected fo which dialysis was done. His lungs were seriously injured for which he was with ventilator . Several anti-biotic injections were given. It has costed each day expense of 15k for medicine and 20k for ICU. 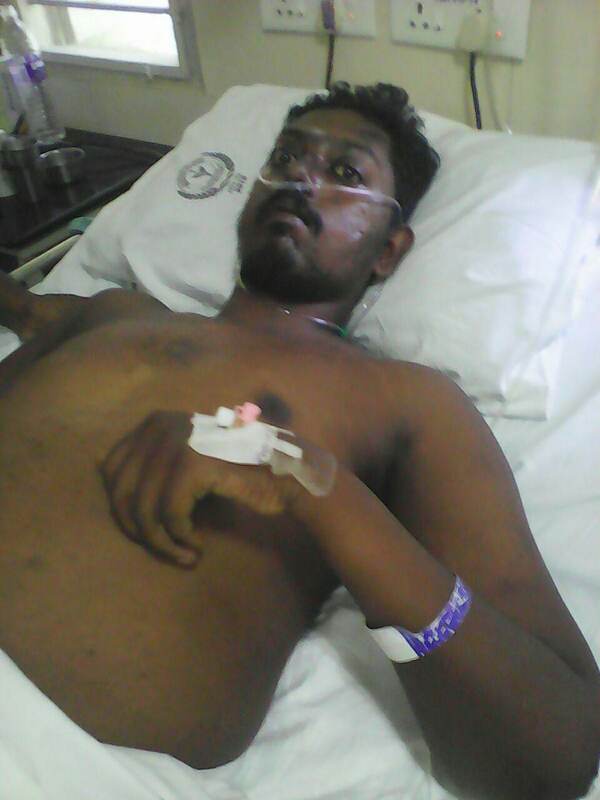 We are in need of money for Senthil who is fighting for his life and who had never got any light or happiness in hislife, he is just 29 years old and unmarried.Please help Senthil for his new life by contributing how much ever possible for you. Please find attached letter from hospital for reference. 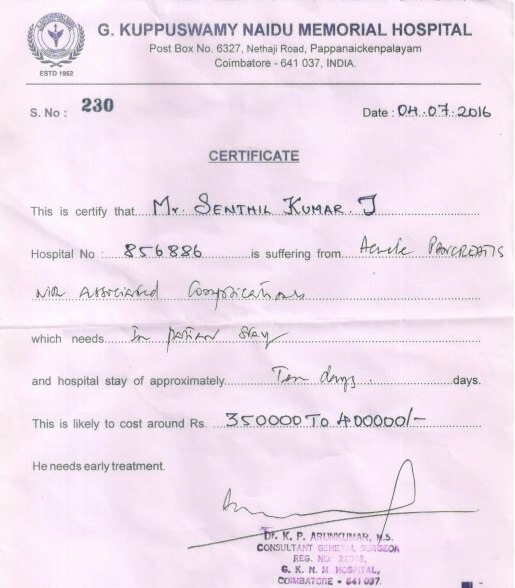 We can never forget the immense support provided by you for Senthil's treatment. Senthil was doing well for 3 months but got again with schizophrenia symptoms. 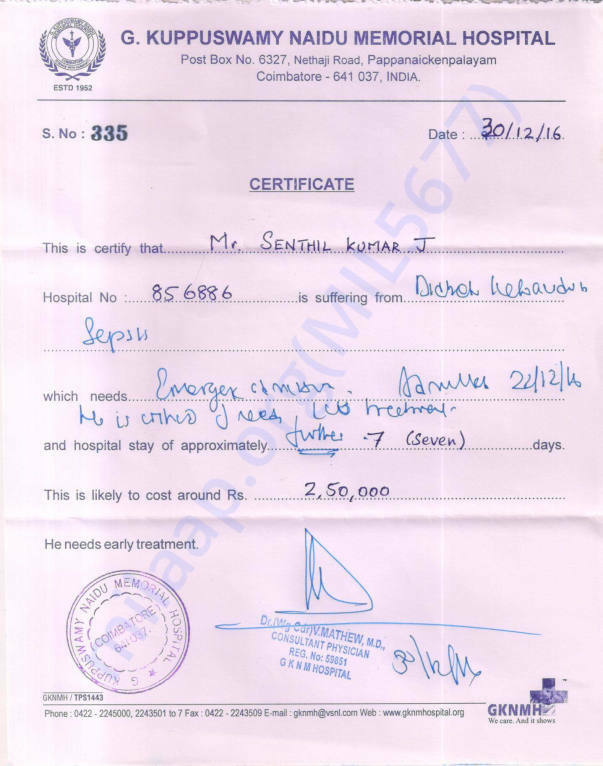 Now he has become sick again affected by Diabetic KetoAcedosis Sepsis because of the side effects of the medicines which he had taken.Last month 22nd of December Senthil got breathing difficulty and we came to know he is affected by Diabetic KetoAcedosis Sepsis. He is being given aggressive treatment in ICU (G.Kuppusamy Naidu Memorial Hospital) for the past 10 days. His blood is infected and acidic level is high for which dialysis was done. His lungs were infected for which he is getting support with ventilator. Several antibiotic injections is being given. It is costing each day expense of Rs 15,000 for medicine and Rs 20,000 for ICU. We have decided not to opt allopathy medicine which is causing side effects and decided to choose Ayurveda treatment in future . But as of now we have to save his life to make him out of danger. We request fund for Senthil's treatment. 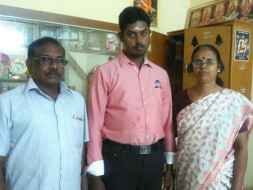 Please help Senthil by contributing how much ever you can. Senthil is getting better day by day. Ventilator has been removed but still oxygen is given for his breathing support. Food pipe is removed and we have started to give semi solid food to him. He is not able to stand and walk on his own since his muscles became weak due to many days of ICU treatment at bed. Physiotherapy is given for his improvement of muscles. Please pray for his wellness and early recovery.